If you’re looking for a longer trail run, the Horry County Bike and Run Park fits the bill. Locals have nicknamed this 7-mile trail “HULK” after the Universal Studios roller coaster due to the constant changing elevations, twists and turns and steep hill climbs. The trail is open to cyclists, runners and walkers and showcases waterway views, grassy meadows and thick jungle sections. 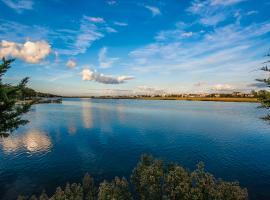 Huntington Beach State Park has a lot for runners to explore, but the Sandpiper Pond Nature Trail is especially fun for those looking for a scenic trail run. This 2-mile out and back trail meanders past one of the best-preserved beaches in South Carolina’s upper coastal plain. If you’re interested in going a little further, continue north along the beach (staying off the dunes) to Murrells Inlet Jetty, which adds an additional 6 miles round trip. The North Myrtle Beach Park and Sports Complex opened in 2014 and is still a new addition to the Myrtle Beach running scene. The park is home to a few trails ranging from .56 miles to 1.1 miles, and clean restroom facilities are located throughout the park. 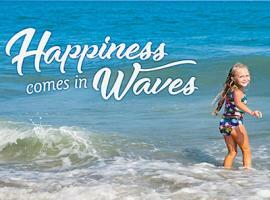 For those staying north of central Myrtle Beach looking for a flat, easy run nearby, this park is for you! The Market Common’s 2-mile paved trail is perfect for runners, and can be used pretty much any time they aren’t holding a large event. The scenic route passes by Valor Park and its pond and water fountains. There is plenty of free street and garage parking nearby, and pond-side swings along the trail are perfect for when you need to break for water or a stretch. 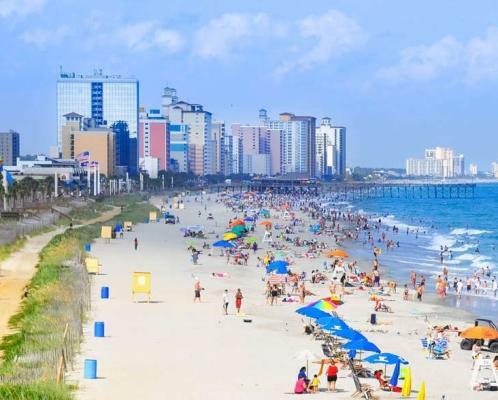 The Myrtle Beach area is home to 60-miles of picture-perfect, uninterrupted coastline, making the beach the ideal spot for however long a run you like. 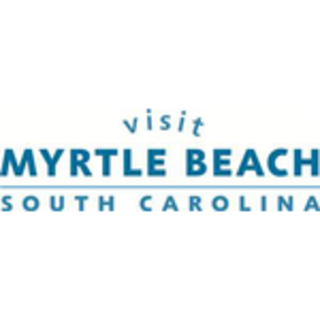 We always suggest incorporating the 1.2-mile award-winning Myrtle Beach boardwalk into any beachside run. Not only are the views incredible on the ocean side, the food vendors, restaurants and shops along the boardwalk are also fun to see. Since it can get busy, especially in the summer, try to schedule runs around times when you won’t have to stop for crowds of people.